Finance is one of the biggest sectors and has “n” number of companies in it. However, we are here with a list of 5+ Financial WordPress Themes. These feature-rich themes with their specifications will suit every type of finance company. For example financial consultancy, currency exchange, insurance, tax or wealth advisory firm. When it comes to financing, even a casual person will take it seriously. These themes will turn your business website the way you want. In brief, they are the epitome of transparency, sincerity & devotion. Moreover, from menu panel to portfolio section & homepage client settings, the listed themes have every feature in them. Financier is the easy to use graceful Financial WordPress Theme. It will create a proper finance environment on your website. You will generate high leads by providing online consultancy and financial services with this theme. 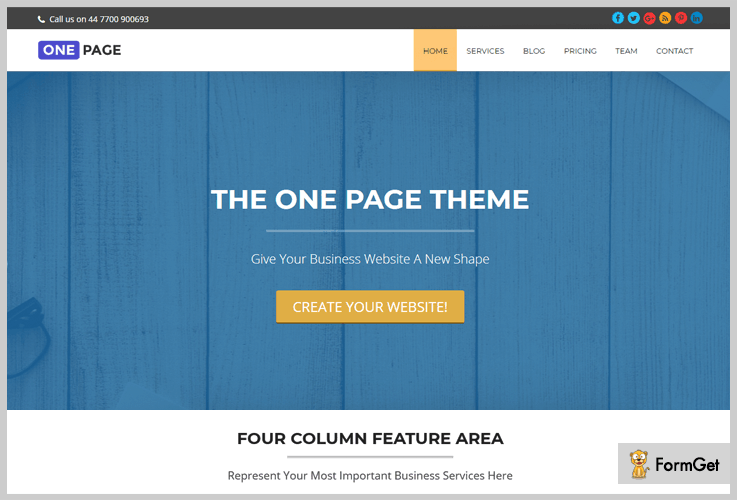 This single page highly customizable theme will be an asset to your website. Financier comes with a single pricing plan of $79 with 24*7 support forum. Comes with the advanced portfolio section. Here you can showcase the project & work related images with circular representation. Provides a video section on the homepage. Videos related to the business & other tutorial videos can be uploaded here. Well organized & amazing menu option that make things easy & saves a lot of time. Finance gallery will provide you the facility of listing your latest events & other related news. Equipped with a clean testimonial section. It is the space for your clients which will develop a positive image of the business. 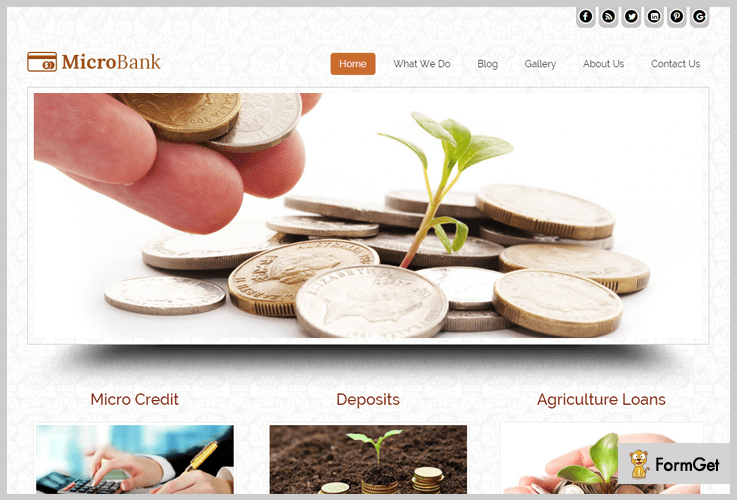 MicroBank Finance WordPress theme is designed particularly for the small size finance companies. They include micro banks, accounting firms, NBFC and related businesses. This theme will work with great efficiency and high effectiveness. Additionally, it comes with inbuilt templates & is adaptable to all the WordPress versions. Buy MicroBank for your business at a nominal price of $79. Inbuild blog section where you can post interesting investment blogs to engage clients. Icons come with retina ready feature that creates an amazing web surfing experience. Easy advertisement with ad banner for promotional purpose. Service section in homepage for showcasing your different services. Provides you a contact us template which will work as a data collection tool. Consequently, you can also generate the lead from this collected data. This theme is compatible with all the major browsers and devices which makes it a 100% responsive theme. 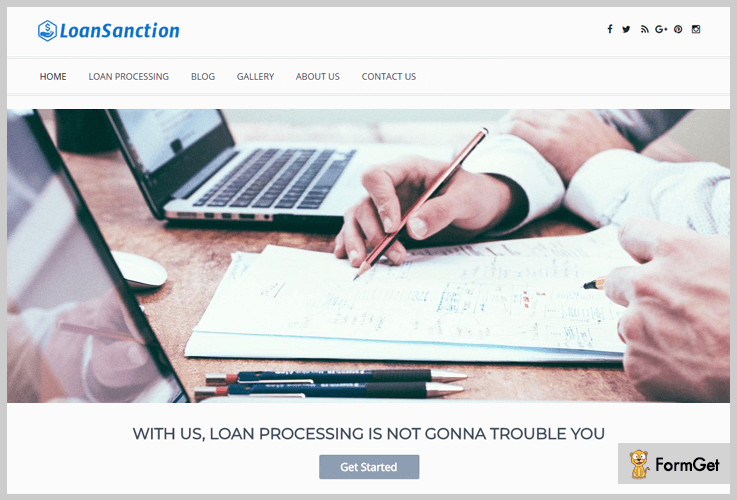 LoanSanction is a clean & well organized Finance WordPress theme. Loan business will be made hurdle free by amazing features of this theme. It comes with an informative lead generation form. This will not only work for data collection but will also convert the sales. You can get LoanSanction without any hassle at a single pricing plan of $79. Provide the guidelines related to documentation & new schemes for the services with the help of blog section. Stunning sliders that come in a choice of 4. Make your website look appealing with unlimited color option & 8 adorable theme colors. Facility to change the theme layout with the help of theme layout option. LendCash is a reliable & robust, responsive & multipurpose Finance WordPress Theme. This theme is designed keeping in the mind the loan necessity of the students. 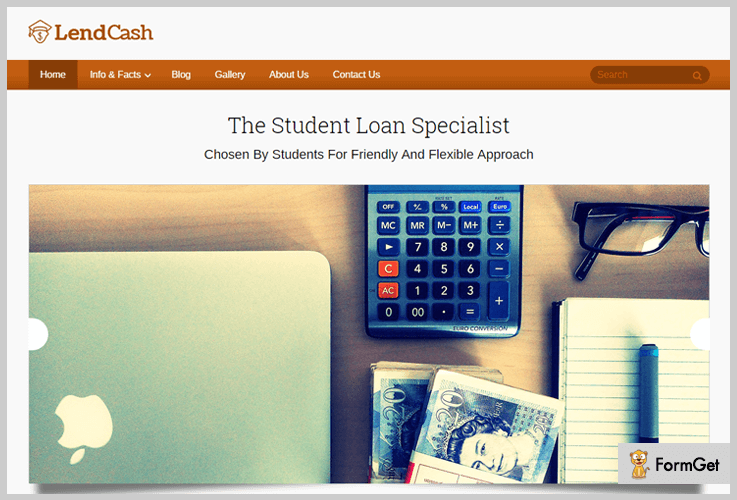 LendCash is suitable for education loan firms, abroad education funding companies & related services. Avail this theme at a very affordable pricing plan of $79. Comes with 10 amazing theme colors. Provides you various social sharing icons to connect with the outside world. It has an inbuilt gallery section to make your website a complete professional one. Seo optimized which will help you in google ranking. It also comes with an easy to use admin panel. 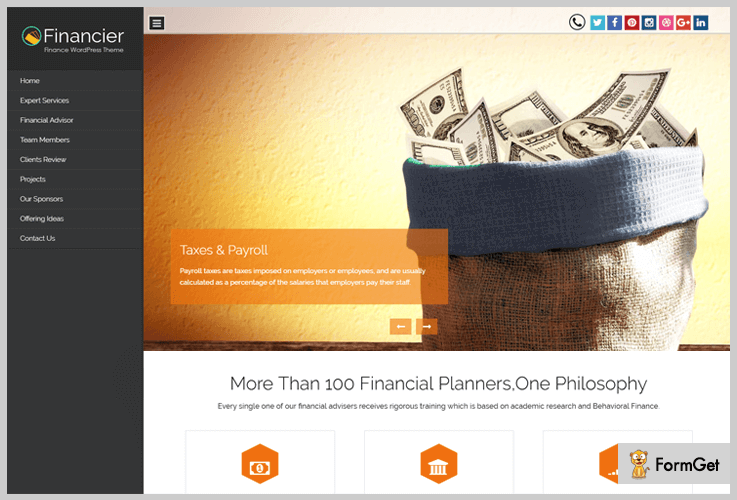 One Page is a single page yet informative Financial WordPress theme. It is simple to use, a clutter-free theme which is responsive. The features like single page customization, add/remove & many more, make it a complete theme. One Page can be easily downloaded from wordpress.org without any hassle. Provides you advanced slider setting. You can easily change the slider color, image, text & link. A feature of a beautiful portfolio gallery section. You can post images, videos & interesting texts to make the site interesting. Comes with a testimonial section where you can even share the client’s name & image. Inbuild contact section so that prospective clients can reach you with greater ease. 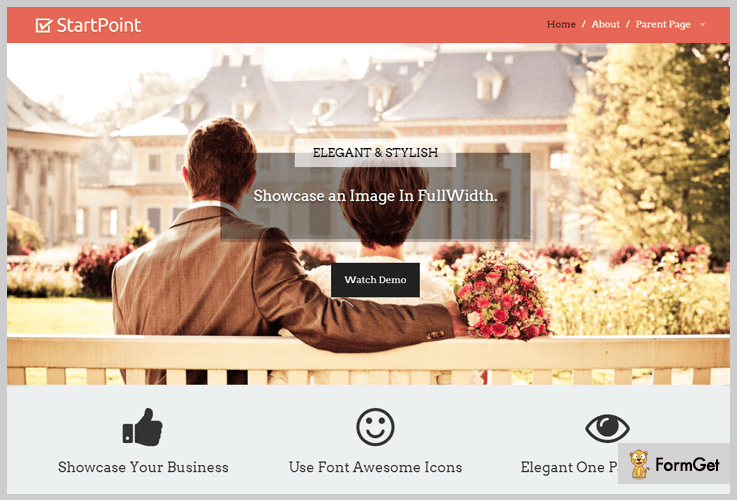 StartPoint will give your site a complete professional & stylish look. This theme is equipped with awesome features. It provides everything needed to make your site more attractive. Features like a parallel scroll, gallery category adds more value to this theme. StarPoint is a FREE theme and can be downloaded from wordpress.org without any cost. This theme comes with an interesting feature of the filter effect. The images in the gallery will be shown with beautiful filter & categories. Comes with a free bonus info bar plugin & 16 awesome advertisement banners. There are more than 350 icons in the featured section. You also have the facility to add title and description to the sidebar. Regardless of the wealth of businessman, none of the business can survive without a proper finance function. After reading the above list of best Finance WordPress Themes, we hope that you would have found the one for your business. In the end, if you have any doubt or questions regarding the above themes, then you can mention it in the comment section.